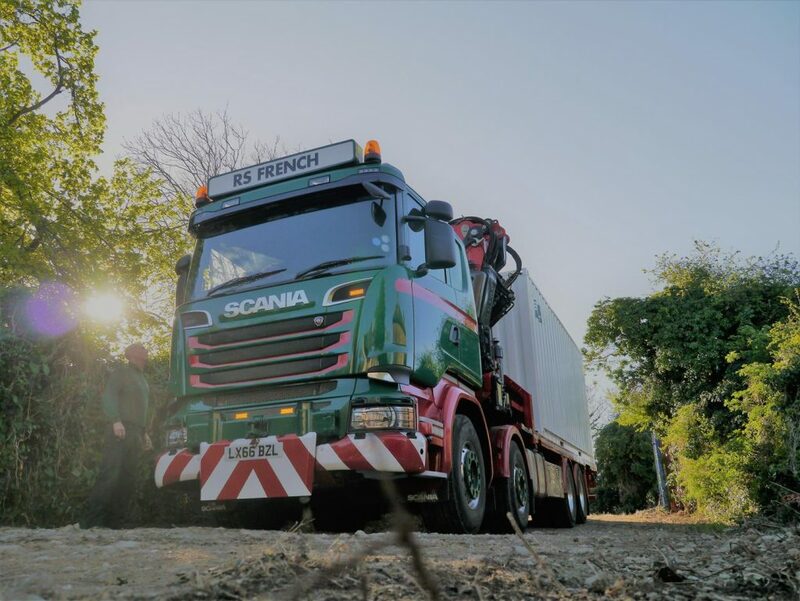 RS French has over 30 years’ experience in the lorry mounted crane and transport sector, completing countless lifts and deliveries for clients all over the UK. Lorry mounted crane (Hiab) hire is the ideal solution if you have large or heavy items that need lifting and transporting. A lorry mounted crane incorporates a crane and a lorry in one vehicle, reducing the cost of certain operations significantly. The wide range of lorry loaders offered by RS French makes us a one-stop shop for the hire and delivery of portable accommodation. We see the demands and needs from both sides of the fence, enabling us to develop with customer focus. Based an hour from London and 30mins from Dover, just of the A299, 5min from the M2, provides an excellent haulage depot to provide container transportation and haulage solutions throughout Kent, Essex, Sussex, London and the UK.